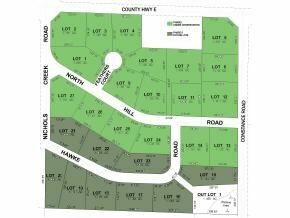 Affordable building lots, beautiful rural setting with low Town of Waupaca tax rate, 5 minutes from downtown. Subdivision has passed soil evaluation tests for conventional septics, each lot will have to be tested. Subdivision roads are going in now and will be paved to County standards.